Did you read my previous post on how to maximise your staycation and notice the pretty pictures accompanying the staycation study slides? Those are pictures of the Shangri-La hotel in Singapore. 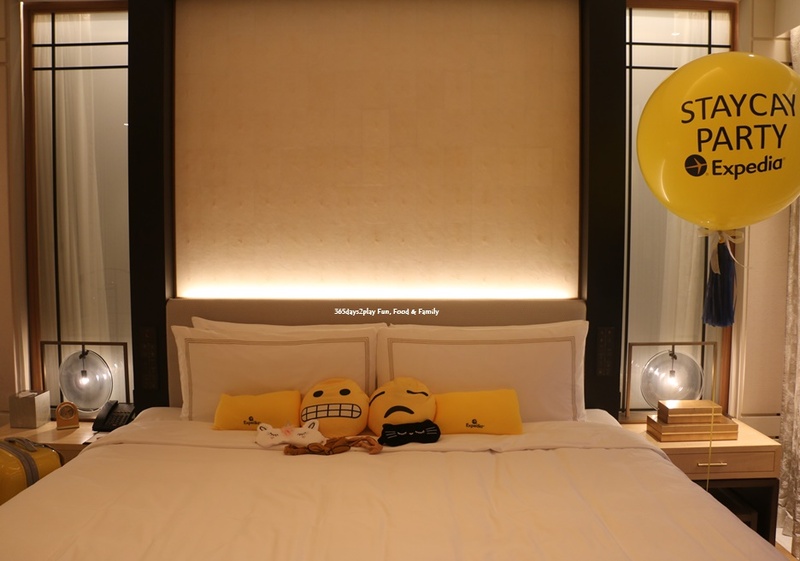 In fact, the Brand Expedia staycation event was held in Shangri-La Hotel’s Grand Suite. And they’re not being dramatic in naming the room the Grand Suite, because it is literally very spacious! Check out the features of the room, and scroll down for more pictures. Access to the Horizon Club Lounge (executive lounge). I am told this room costs around S$4,000 per night, which is pretty eye-watering by normal standards. However, if you were to treat the Grand Suite as an event venue, the costs might start to work out. $4,000 is of course on the high side for an event venue of 250 sqm but this is a unique venue in a sense. And imagine if you were parents throwing a birthday party for your kid, or a couple having an engagement party / solemnization, at the end of the day you can crash out on the bed and have a “free” staycation!